Using the multi-functional furniture will keep you enjoyed by the free space in your small apartment. 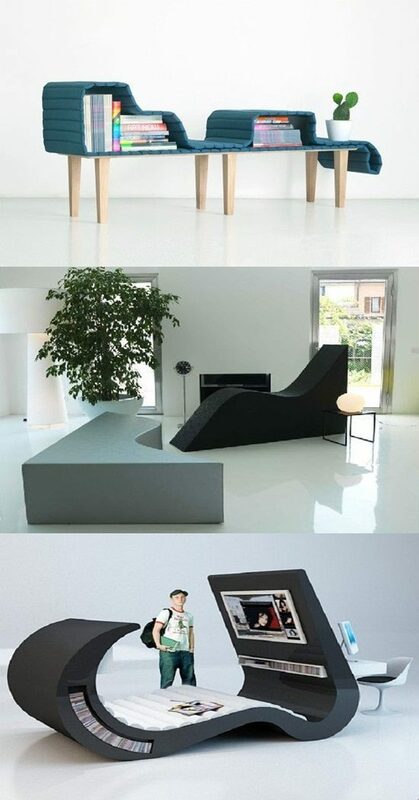 This kind of furniture will stand for more than one item to save your space giving you a high degree of functionality. You can find different kinds of the multi-functional furniture items for every room in your house. Your bedroom needs more multi-functional furniture items to create a relaxing mood and avoid cluttering the room. You can find many furniture items that will decorate and beautify your bedroom such as the platform bed, sofa, bed, Murphy bed, or day bed. These kinds of beds will consume less space and has storage space for your necessary items. Along with your bed, you can add a dressing table that comes with drawers to store your small belongings, a medium-sized mirror, and a desk. Your kitchen is the room that has more clutter in your house. You can use the pull out table to serve as a writing desk or a dining room for additional guests. The food trolley cart can stand for a preparation area, a serving surface, a butcher block top, and a small dining table. Your cabinets will have the function of hiding your clutter. The nestling tables can be used in the living room to play different games with your children or do different activities with your friends. It consists of three tables; the smallest one can fit into the bigger one to be stored in a small space. You can find a table with built-in lighting lamp, vase, and mirror with different colors and styles to suite any room into your house. To save more space into your house, you can use multi-functional rooms. For example, your craft or sewing room can serve as a guest room or a temporary work office. You will need just to keep the room organized and clean all the time to be always ready for any guest or work.